Feel free to send me an email if you are interested in learning more about me and my work. 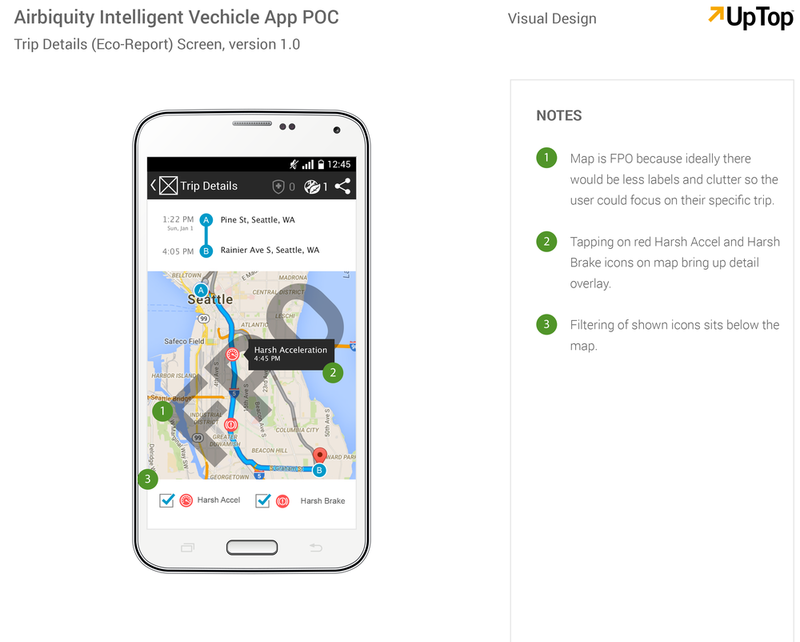 Our client Airbiquity, who is a global leader in vehicle telematics, geofencing and connected car systems, approached us to help them design an Android app that would connect a driver's smartphone to a vehicle’s system monitor. 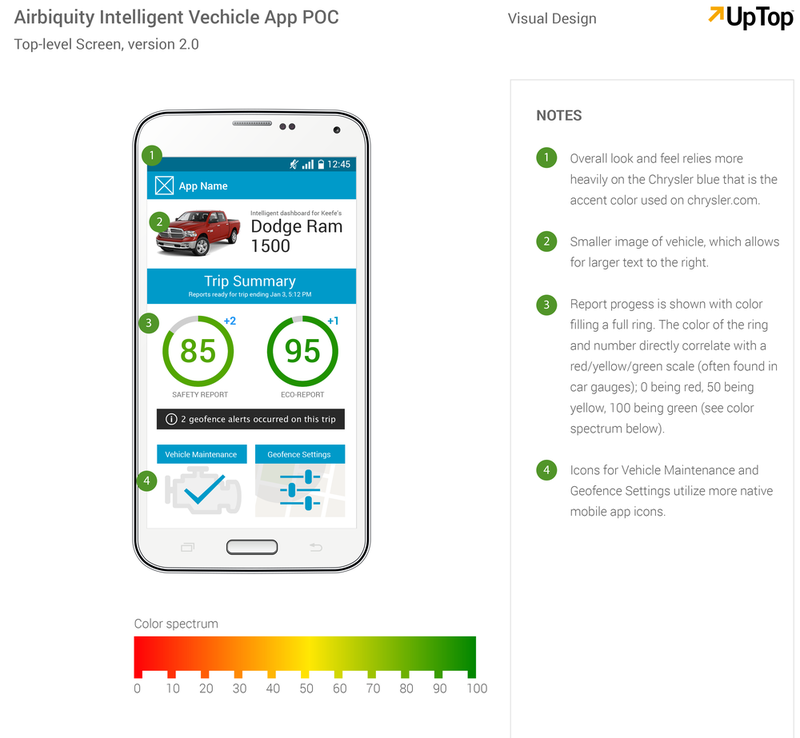 Initially, this app was designed as a proof of concept for Airbiquity to pitch to Fiat Chrysler Automobiles with the hopes of rebranding the app to pitch to other potential future clients. 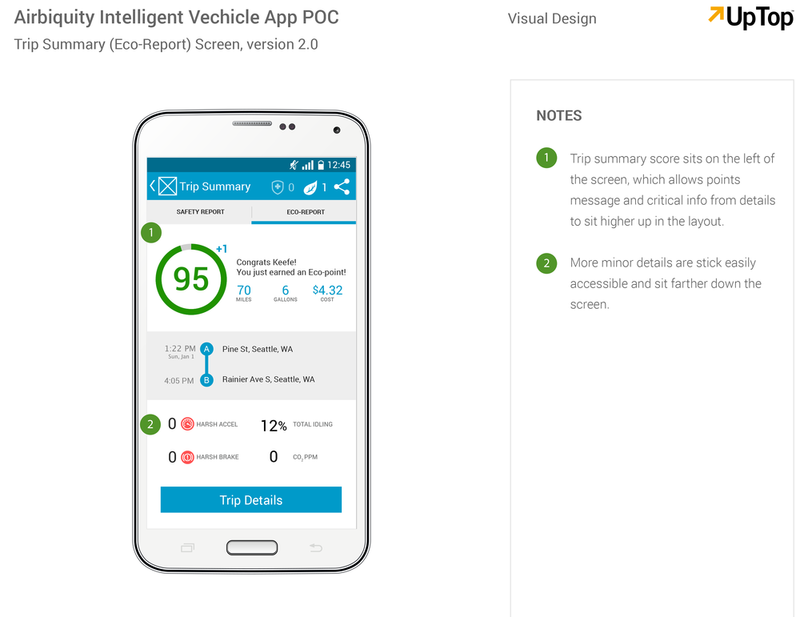 An Android smartphone app designed to visualize the data pulled from a vehicle’s system monitor. 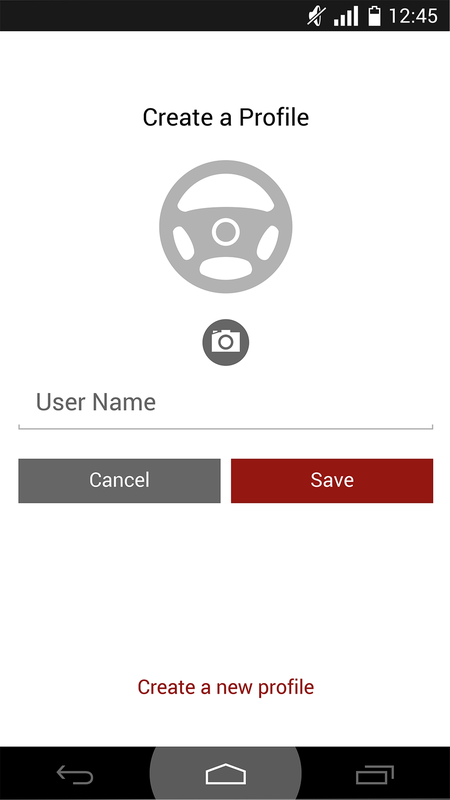 The app also would notify the driver of any maintenance issues and allow the driver to view this information while away from their car. The final design was then to be used as a base that could be easily rebranded for potential future use. 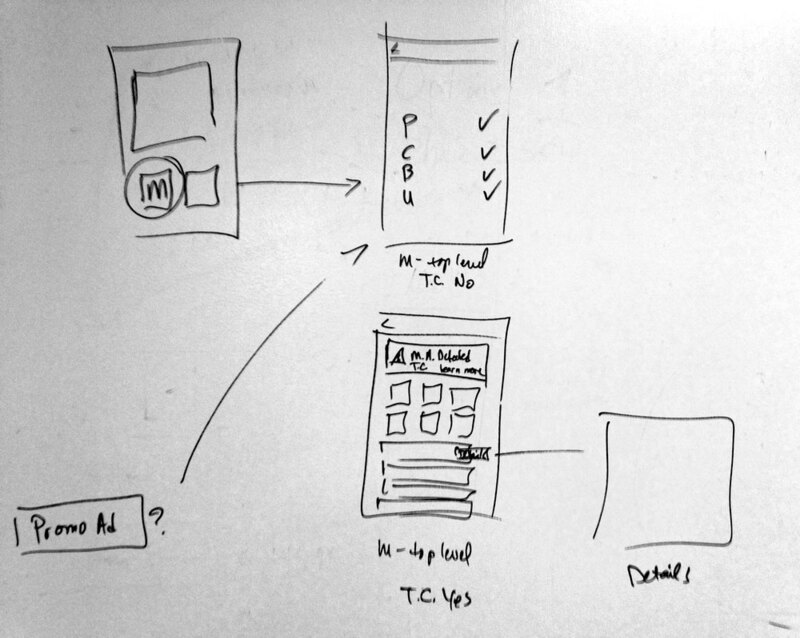 I teamed up with another UX designer to ideate on the app's structure and flow. 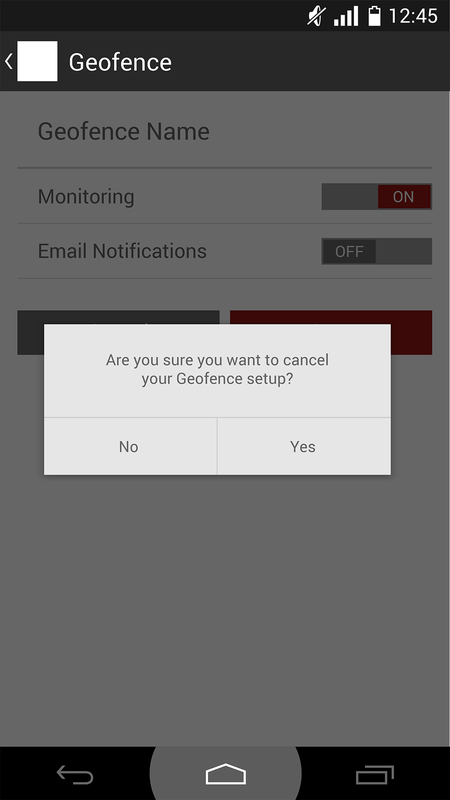 The main requests from the client were to focus on the dashboard design, maintenance alerts, dealer promotions and creating a geofencing aspect where drivers could determine certain geographic boundaries associated with custom locations. 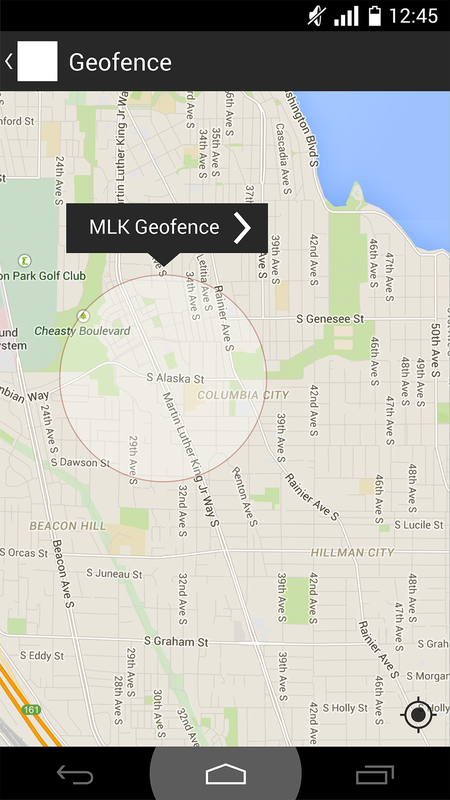 We did competitive analysis of a number of apps where location tracking and geofencing were prominent to get a good base of ideas and inspiration to pull from before sketching out on a whiteboard. 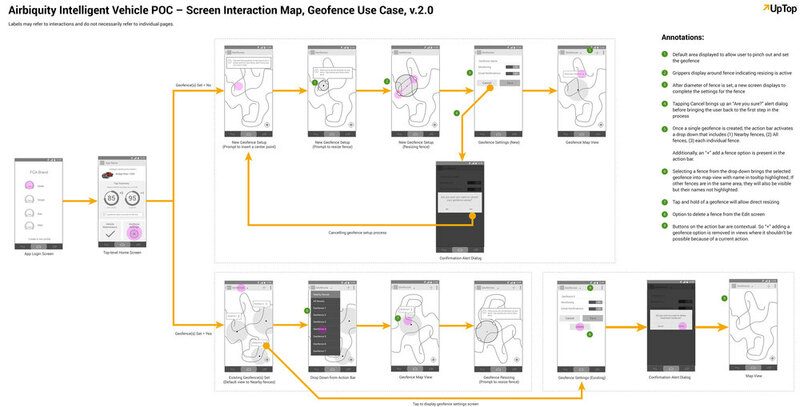 Then, with a good flow and structure of the app established, we translated the sketches into wireframes. 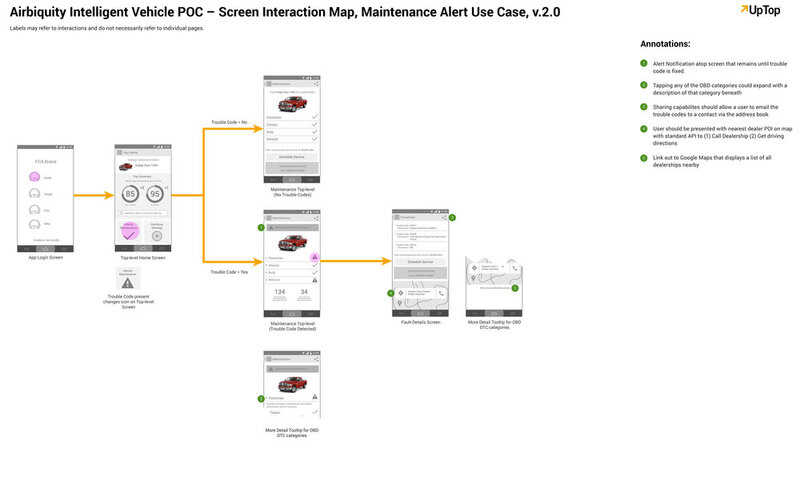 We went through multiple iterations of the wireframes after discussions and feedback from the client. 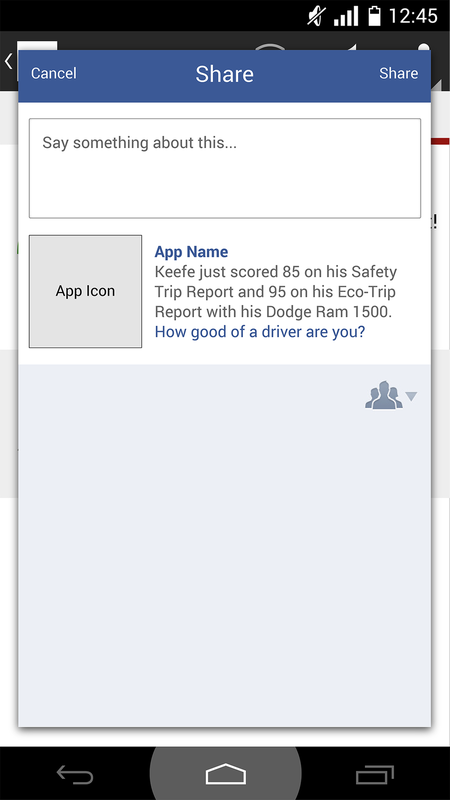 Through iterating we were able to focus the app into the simple and intuitive app we were aiming for it to be. 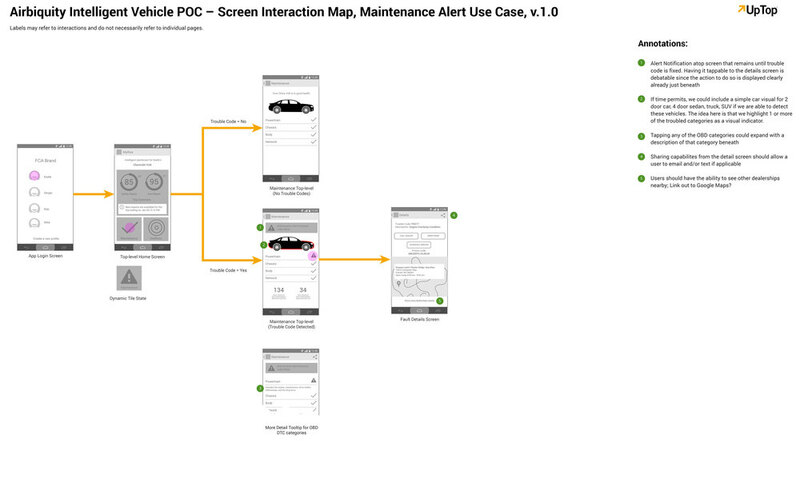 With the wireframes approved, I took on the project myself to finish out the UX design and apply the UI design. I explored a number of different UI and icon treatments and built out comps to share and discuss with the client. After deciding going with an overarching Fiat Chrysler brand, as opposed to a single sub-brand of their (Fiat, Chrysler, Jeep, etc. ), I built out a full deck of comps spanning the different features of the app: Trip Summary, Maintenance Alerts, Geofencing and social media integration. 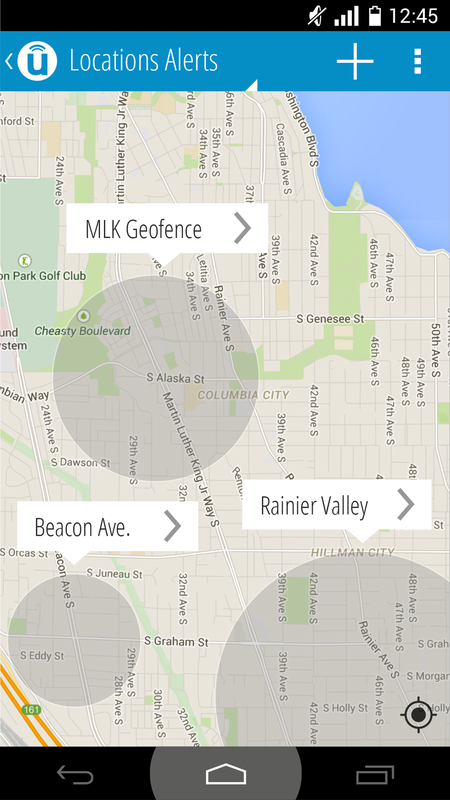 Airbiquity, then, decided it wanted to push forward and pitch this app to another brand. 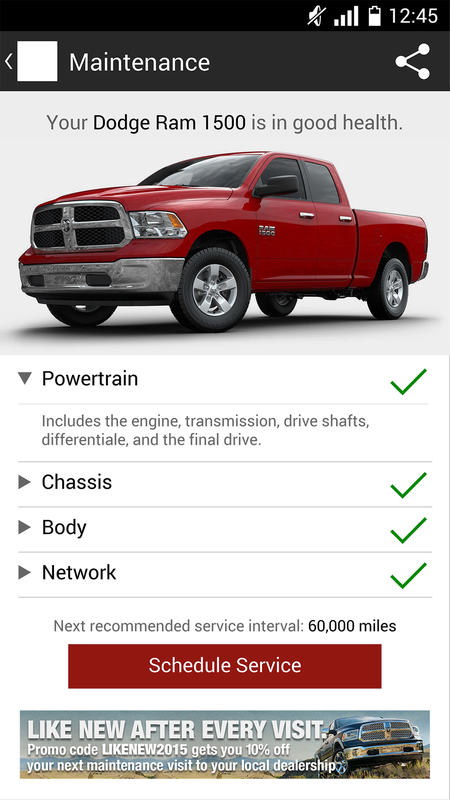 So, I rebuilt the app's UI to to follow the standards of the Uconnect brand. After a couple rounds of iteration on how Uconnects brand translates to this app, I put together the final elements.